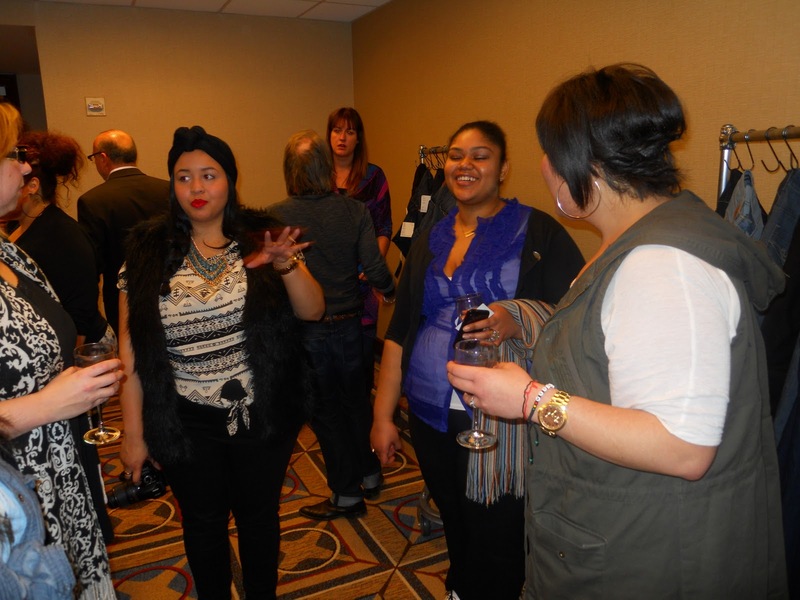 On Tuesday after work, I stopped by the Crown Royal hotel on 49th street to checkout the Z. Cavaricci denim preview hosted by Plus Model Magazine and RedressNYC. The preview was an opportunity to meet with the designers and finally tell them what the plus size curvy girl is looking for in denim. 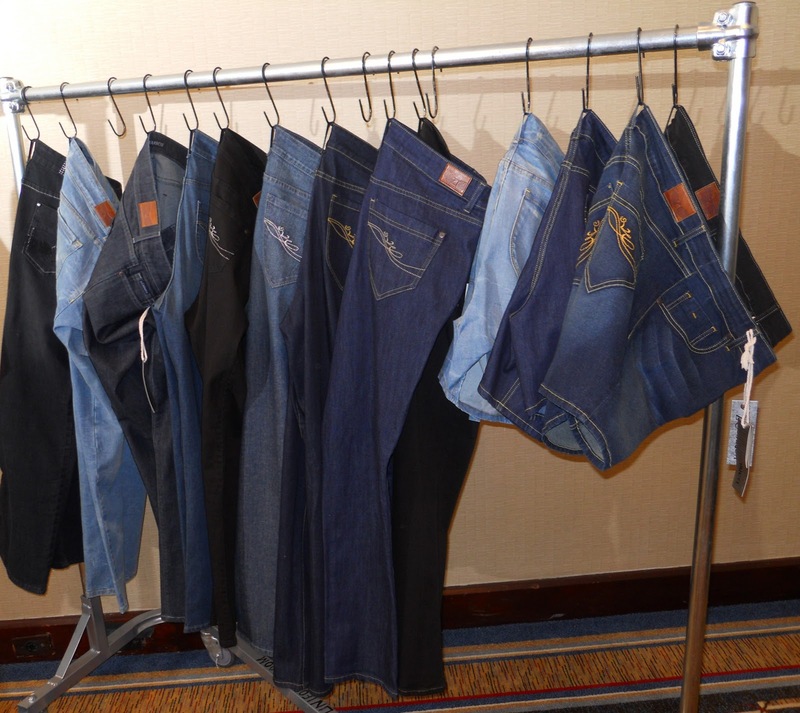 The Z. Cavaricci team is making efforts to create denim that is trendy, fashionable, and most importantly comfortable. They had a few racks of jeans that ranged from skinny, straight leg, to trouser styles. They even brought in a few denim shorts just to give us a taste of what’s to come. Just like every other preview I go to, I make sure I speak up to let these designers know what they should be doing because most plus designers are men or slim women who have their own or an old school idea about what a plus size woman wants. One of the major problems for me in plus size denim is the length. Very few brands offer jeans in ankle, regular, and tall. Most just carry regular which become high waters if you wear heels. Other issues are gaping waists, waaaay too much stretch that causes a sagging crotch, and bland washes. I mean how many dark blue jeans does a girl need in her closet. We all expressed those issues to the team who was more than eager to write all of our concerns down. The Z. Cavaricci team is also working on adding denim jackets, denim skirts, and flowy flirty dresses to their collection. I will be sure to keep you posted on that. 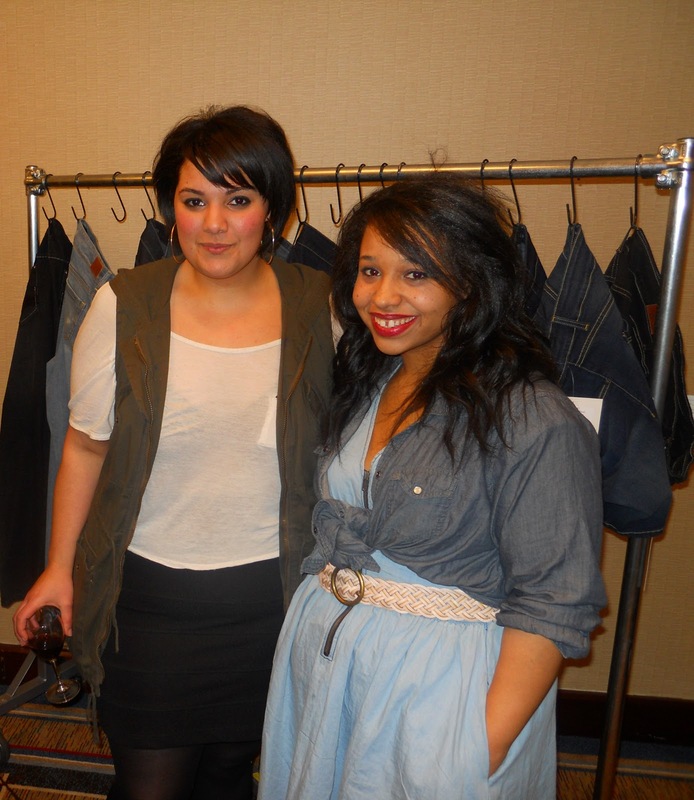 The Z. Cavaricci team had plus size curvy models Alicia Farjado and Grisel Angel model a few of the jeans for us. Model Grisel Angel in a pair of the denim shorts which we thought were too narrow in the leg and would squish cellulite. We asked if they could loosen the leg and cuff the shorts for a better fit and look. 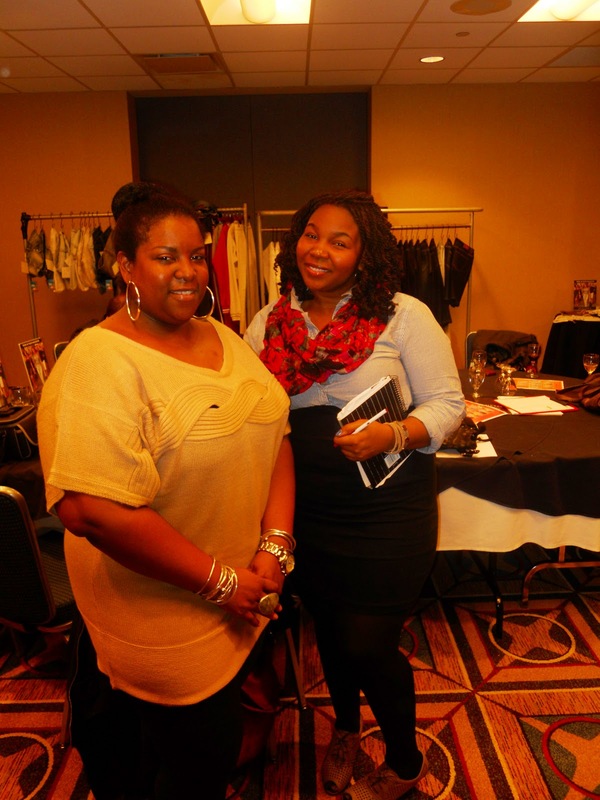 FFFW creator Gwen Devoe also stopped by the preview. You know I had to get in a groupie shot of us. 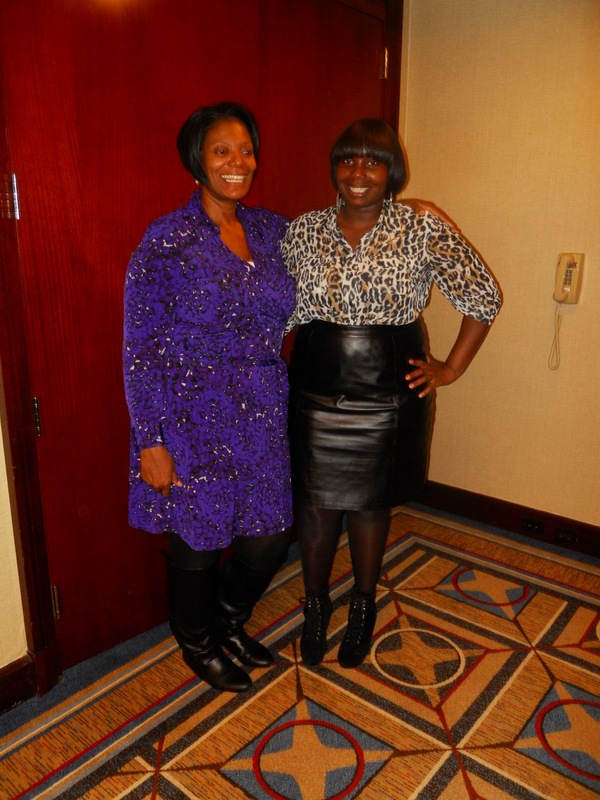 I’m wearing a Kenneth Cole leopard top, Jessica London leather skirt, and Jessica Simpson lace up boots.